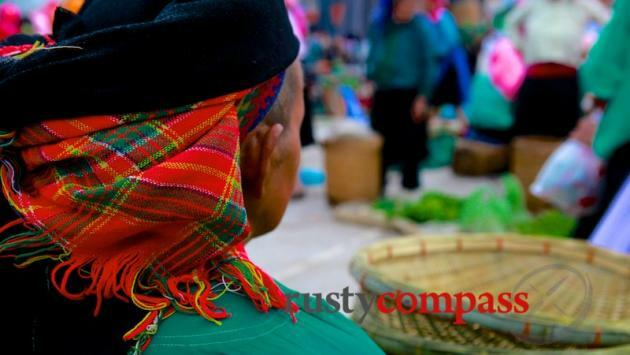 An independent travel guide to Ha Giang with candid reviews and recommendations. No sponsored content, no advertorial. Sunday market at Meo Vac. En route to Dong Van. 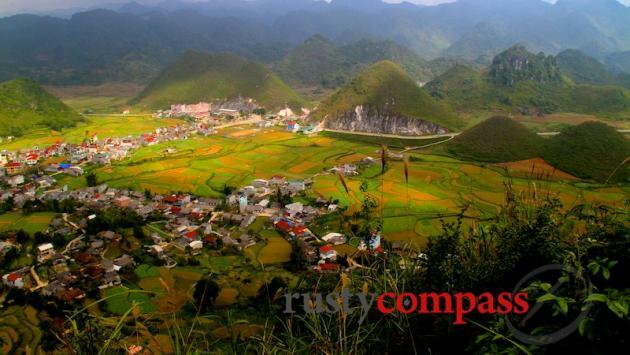 Ha Giang is Vietnam's northernmost province and something of a last tourism frontier. It protrudes from the map into China's Yunnan province and is home to the country's most breathtaking mountains, soaring rice terraces, and diverse ethnic minority cultures. It's one of the best places for walking and trekking in the country. 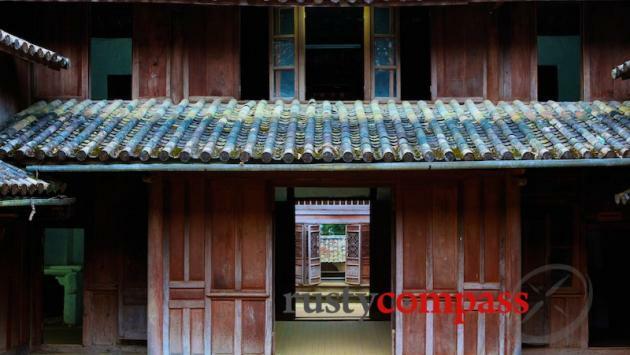 Despite that impressive list of attractions, Ha Giang sees very few travellers. In the 1990s small groups of Hanoi based expats and their friends pioneered Minsk motorcycle trips along Highway 4 to the area and word got out. 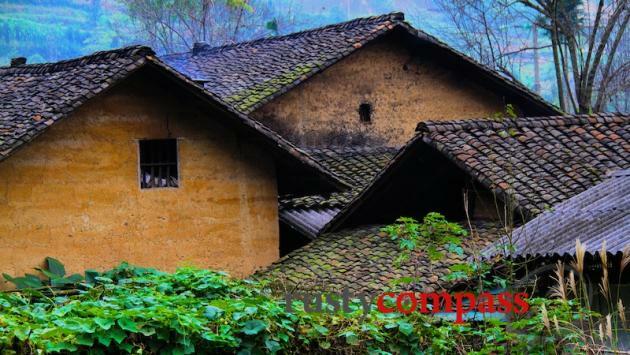 But in those days, Ha Giang was only for the most adventurous. Terrible roads, unwelcoming officials requiring of complicated travel permits and the scarcity of serviceable hotels left this most alluring slice of Vietnam out of most itineraries. In recent years things have changed. Improvements to the roads have paved the way for safer easier travel and a handful of hotels and guest houses have also opened. Even with better roads though, travel in Ha Giang still involves long road trips that will likely keep growth in visitors in check - which is not a bad thing. During the past decade, Sapa, more than 200kms to Ha Giang's west, has become the focus for travellers seeking to explore Vietnam's mountainous north - and it's probably developed too fast for its own good. 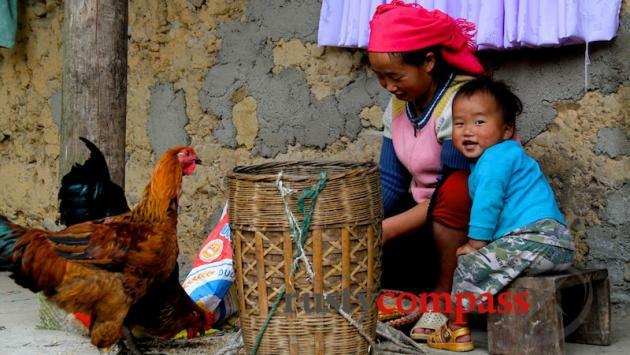 Ha Giang will benefit from a more measured development that, with any luck, its remoteness might impose. Ha Giang's first wave of international travellers arrived on Minsk motorcycles from Hanoi in the early 1990s.The roads were rough - more like tracks - there were very few tourists and only the most basic places to stay. The roads have improved as have transport links but the area remains popular with motorcycle adventurers. The most intrepid rent bikes in Hanoi and do it themselves. Others join escorted motorcycle tours. And with much improved roads, an increasing number of travellers are arriving by car or bus. Independent travel is an option for those with loads of time. For those on a tighter schedule, private or small group tours are the best option. 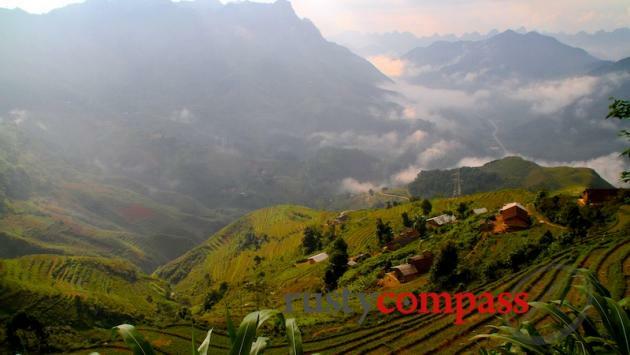 Try and spend at least 4 nights in Ha Giang province as it will allow time outside the car or off the bike for mountain and village walks - the highlight of travel in Ha Giang. Hanoi to Ha Giang = 282kms. Allow 7 - 8 hours with stops. Dong Van to Meo Vac = 28kms. Allow 2 hours with stops. Spend as much time walking as you can. There are plenty of beautiful walks right by the small towns you'll be staying in. And random stops along the way can be enjoyable too. You'll cover the longer distances by whatever means of transport you arrived on - motorbike, car or bus. The steep mountains make Ha Giang suitable only for the fittest of cyclists. Ha Giang is safe in terms of crime. Traffic accidents pose the biggest risk to travellers to the area. Motorcycle riders expose themselves to the usual hazards. Roads are mostly ok but variable in places and can be impacted by heavy rains and landslides. Traffic tends not to be heavy but there are large trucks. The steep terrain increases the risks of serious road accidents. Hospital and medical facilities are basic in the extreme. There's a small hospital in Ha Giang town and clinics in the other smaller towns. There are ATMs available in Ha Giang town and Dong Van. We did not see any in Meo Vac. Keep some extra cash on hand since reliability of remote ATMs might be an issue. Hotels in the towns mostly claim to offer wifi though it was variable. You'll usually be able to access the internet in a hotel lobby if not in your room. The major phone services have surprisingly good coverage (often including 3G) in most towns. Viettel, which is owned by the Vietnamese military, has the best coverage in remote areas. Their service was often available even on remote treks.